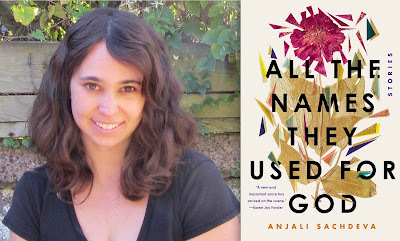 In the 35th in a series of posts from authors of 2018 books entered for The Story Prize, Anjali Sachdeva, author of All the Names They Used for God (Spiegel & Grau), explains why she finds reading old stories alongside newer ones instructive. When I was in the sixth grade I checked out a book from my school’s library entitled Great Tales of Terror and the Supernatural. It was at least 2 inches thick, cloth-bound, falling apart at the seams. The stories were all classics, from writers long dead, though as a middle schooler I had never read them before. Images from the initial stories stick with me to this day: a jealous husband burying his unfaithful wife’s lover alive; a ferret with a bloodied mouth disappearing into the bushes. The unabashed drama of these stories, just at the verge of being maudlin (and sometimes beyond the verge) was entrancing. I returned the book to the library at the end of the week, as required, but could not get the stories out of my head. But when I tried to check it out again, the book was gone, and it never returned to the crowded little shelves of my school. Those old stories attracted my attention for a lot of reasons. 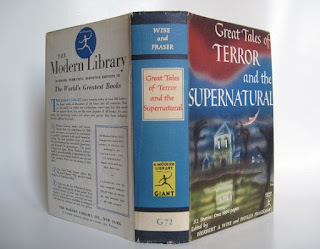 They were scary and more grown-up than most of what I read. But also, they functioned differently than the stories most authors write today. Often times they included a frame story that modern sensibilities (and editors) would find superfluous and slow: a traveler sitting down by the fire to tell his tale to another guest at an inn, or a retrospective narrator gazing back into the past. They held the mark of older oral storytelling traditions, in the same way that early films contained holdovers from stage performance. But there was a fearlessness to them, an unabashed emotion and showmanship, that I found—and still find—irresistible. I sometimes feel as if modern stories are driven by quieter and more efficient electric engines while the older stories derive their power from a smoking, clanking boiler that shoots off the occasional spark. This is not to say that I don’t like new stories. Every year I read many stories by contemporary authors that I love, that I want to return to and read again. And every year I read a few stories by contemporary authors that take me by surprise. 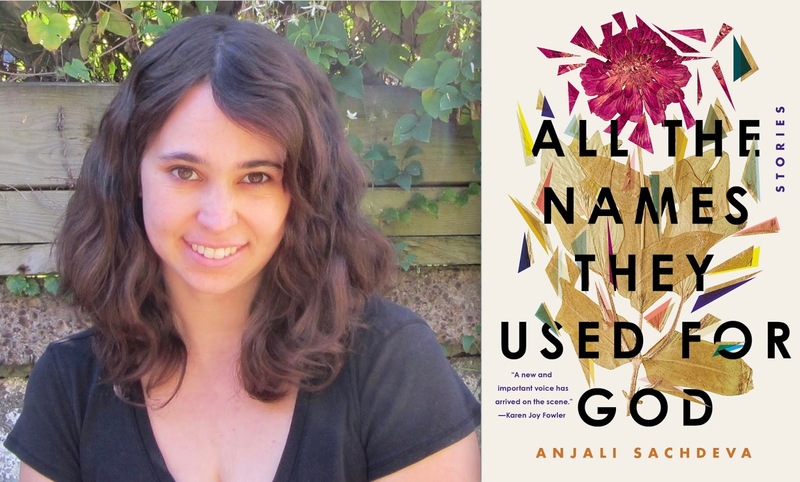 In each of those surprising stories, the author has employed some technique I haven’t seen before: a particular manipulation of voice or of structure, a dive into subject matter I would never have considered interesting in less capable hands. Not all stories I enjoy do this, of course; some are simply using traditional patterns in a masterful way. But stories that change the game make me rethink my own writing, make me realize all the possibilities I’ve been ignoring, and push me to search for those other possibilities that are still out there, unexplored or at least unpopular. What we tend to forget is, old stories can do that too. If you buy a collection of stories written in the last ten years, you’re unlikely to find one that’s telling a story the way O. Henry did, the way Kate Chopin or Ralph Ellison or Willa Cather did. Writing, like fashion, has its trends. I always want to know what new writers are doing, and given access to a limited number of books in a year I’d probably always choose to see what’s new. But happily, I don’t have to choose, and neither do you. I’m grateful for the lessons in writerly possibility that old stories have given me, the way they force me to examine my assumptions about how a story should work. I know that reading them has made me a better storyteller, and I know they still have more to teach me.